Rahul Gandhi has attacked PM Narendra Modi for the Centre’s policies, plans and programs time and again. Time and again, the Congress president has also turned the verbal duel into personal jobes and on Wednesday, he chose to do it in front of hundreds of students. 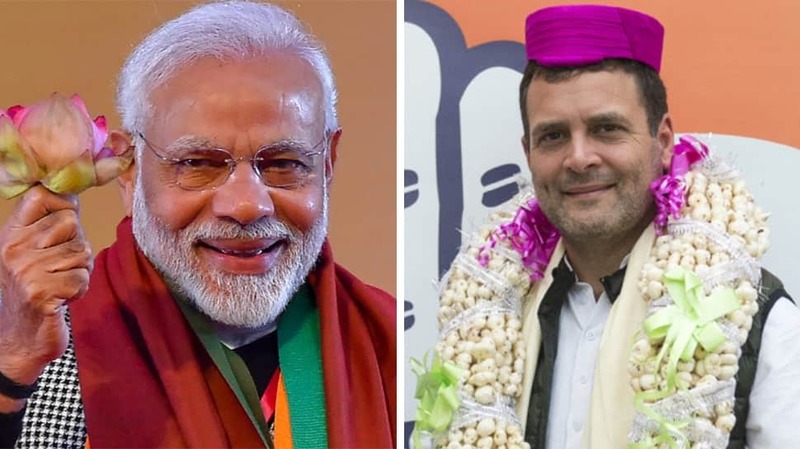 While interacting with students in Imphal, Rahul chose to focus on PM Modi’s educational qualifications and claimed that no one is aware of his degrees. “We still have not had access to PM’s university degree. Nobody actually knows whether the Prime Minister went to a university or not,” he said in a brazen move to yet again make his political rivalry personal. This, however, is not the first time Congress has chosen to cast aspersions on PM Modi’s education. In 2017, senior party leader Digvijaya Singh had accused PM Modi of being secretive’ about his educational degrees and when slammed for his remark, said it was no crime to question a Prime Minister. AAP leader and Delhi CM Arvind Kejriwal too had tweeted about PM Modi’s educational background for which a bailable warrant had been issued against him. BJP has maintained that when rival parties run out of credible points of arguments against its leaders, they lean on flimsy and personal excuses to attack PM Modi. The Centre had also taken out copies of BA and MA degrees of PM Modi from Delhi University and Gujarat University, respectively. In 2016, in fact, Delhi University’s registrar had confirmed the authenticity of the PM’s degree which had been awarded to him in 1979.